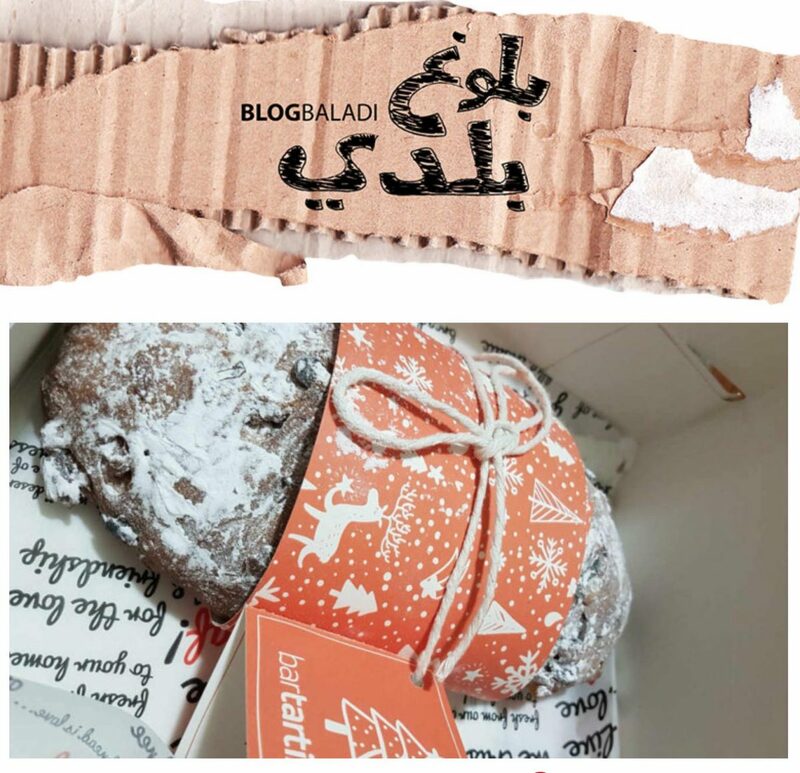 Bartartine’s Christmassy #Stollen Bread is a Must-Try! It’s no hidden secret that I love Bar Tartine. 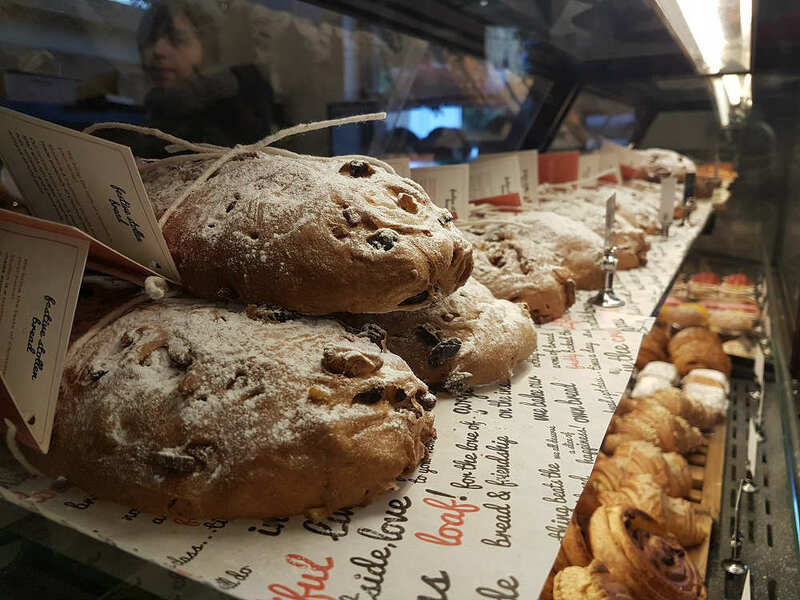 Everything tastes great there and the #stollen bread they’ve introduced this year is one of my favorite Christmas treats. 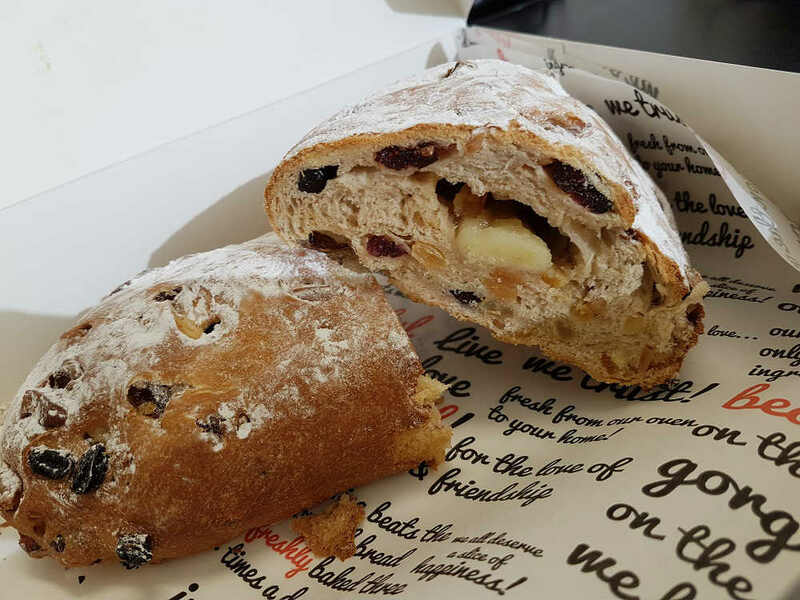 Stollen is a traditional German bread prepared during the Christmas season and is a fruit bread made with yeast, water and flour and topped with a sugar icing. The dried fruits are usually soaked in rum or brandy and some people add marzipan to it. Bar Tartine’s #Stollen is filled with rum-soaked dried fruits, nuts, and artisanal almond paste with sugar icing on top. It’s delicious and it’s addictive! I highly recommend you give it a try because they’re only preparing them during the holidays.